What is wrong with me?! Major fashion faux paus, but I am in love. On Saturday, my husband and I went to the Phoenix Art Museum, and if you follow me on snapchat (username: jaysicles), you would have witnessed all of our shenanigans there. It was such a fun date, so if you're ever in the Phoenix area, I highly recommend going! I walked around that museum all day in this outfit and have never been so comfortable. You guys, I know I wear THESE SHOES all the time but it's for good reason! They are so dang comfortable and no joke match everything. Plus they make your legs look good because of the height but you could walk for days in them. 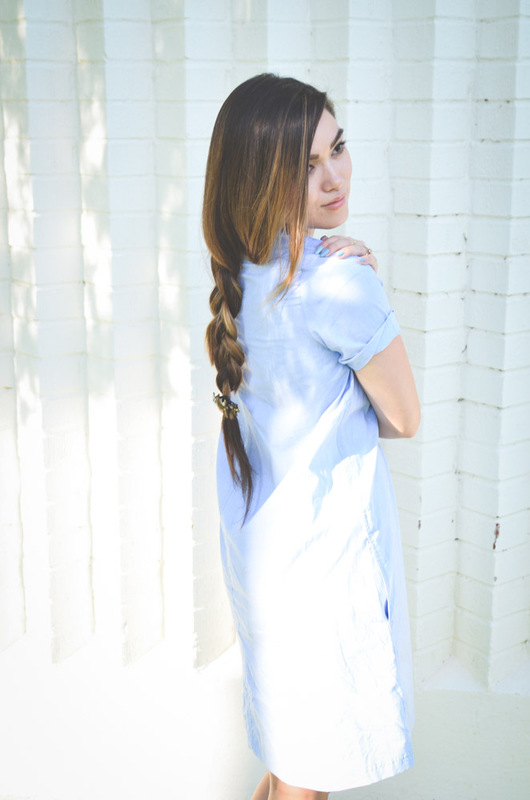 THIS MADEWELL DRESS is everything. It has the perfect amount of swing and the most feminine neckline. Nothing beats simplicity in my mind and this dress does just that! I hope everyone has a great Monday. I'm feeling refreshed and ready to tackle some big things this week! Thank you love! Summer dresses are my go-to, especially here in Arizona! Your dress looks very comfortable. 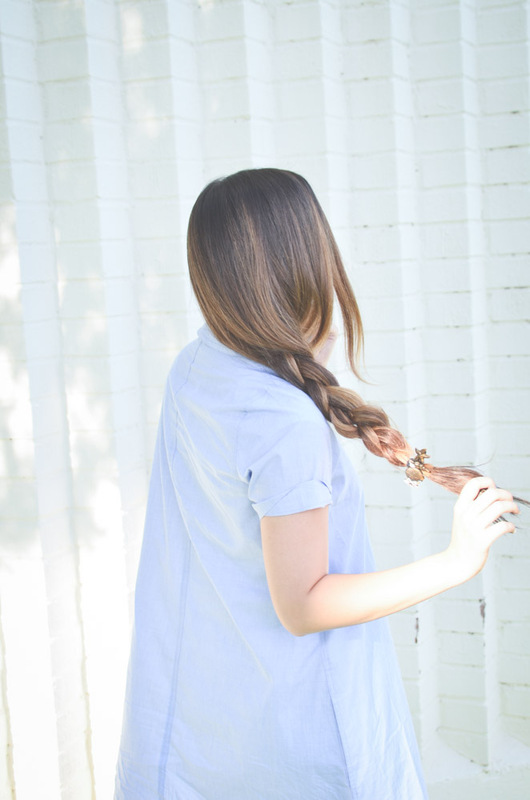 The pastel color of the dress can lower down the summer heat! you are one babe. i miss you love!!! the dress is cute! I'm going to need me to get one if it's that comfy. When you find that dress that you want to wear forever, just wear it, there's nothing wrong! Haha, I do the exact same thing with several of the dresses I own. This one is absolutely adorable, and I'm loving how flowy it is! Your dress may look simple but gosh, you look stunning on it! I totally agree that those shoes are really comfortable, I had a similar pair! Love your blog dear. Hi stylish! Your look minimal is very chic and fresh i love! Gorgeous outfit, I love a good skirt dress. Love your wedges! Cute look and thanks for the visit. very cute summer look, your sunnies are adorable! Such a cool, breezy dress! 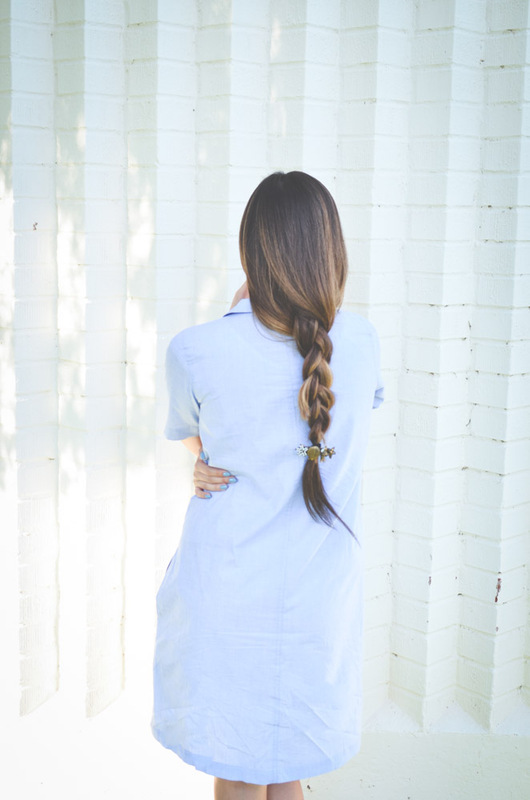 Shirt dresses are perfection! Love this, and how you styled it. This dress looks like a total keeper. But the great part is, it looks like something you can dress up and still be comfortable in. Also, how have I never been to the Phoenix Art Museum?? I grew up in Mesa and I love Art Museums. Ps--If you like art then you should check out the galleries in Scottsdale. They have some great stuff. wonderful combination of brown and blue color! Beautiful and fancy look! I always love your looks with braids!